If you engage BOSS, the conduct of this engagement, in accordance with the standards and ethical requirements of The Institute of Chartered Accountants in Australia and New Zealand (CAANZ), means that information acquired by us, in the course of the engagement, is subject to strict confidentiality requirements. Information will not be disclosed by us to other parties except as required or allowed for by law or professional standards, or with your express consent. The personal information we collect and store about you is specific to and required for the particular service that we provide to you. This may include your name, email address and phone number. We collect information about visitors using our online resources. Any information collected is used to provide our product and services and to identify online behavioural patterns. We will collect personal identification information only if it is voluntarily submitted. Visitors may refuse to supply personal identification information, except that it could prevent them from engaging in certain website related activities. Non-personal identification Information collected may include: the browser name, the type of computer, technical information about a visitors means of connection to our website, such as the operating system and the Internet service provider utilized and other similar information. From time to time, we may use data collection devices such as “cookies” in conjunction with our website. We may use “cookies” to provide you with a more customized experience and a more effective website. If you wish, you can configure your browser so it does not accept cookies. Note that this may affect the functionality of some parts of the website. To personalize user experience. We may use information in the aggregate to understand how the services and resources provided on our website are used. To improve our website. We may use feedback you provide to improve our services. To send periodic emails. We may use the email address to send you information and updates pertaining to your order. It may also be used to respond to your inquiries, questions, and/or other requests. If you decide to opt-in to our mailing list, you will receive emails that may include company news, updates, related product or service information, etc. We adopt appropriate data collection, storage, processing practices and security measures to protect your information from misuse, loss, unauthorized access, modification or improper disclosure. Your client’s information is processed by us either connecting to your office network or a cloud based product like Xero, alternatively the data may be uploaded to our secure web server and then download and imported into our accounting software. Security of information is taken very seriously and we will undertake reasonable steps to protect your personal information, however no guarantee can be given that information sent over the internet is always 100% secure. Sending and receiving information over the internet is at the user’s own risk. We will take all reasonable steps to ensure your data security once we receive it. The information you provide to us may be disclosed to our wholly owned subsidiary Back Office Shared Services (India) Private Ltd, (BOSS India) located in Bangalore, for the sole purpose of performing accounting services for your clients. BOSS India abides by The Australian Privacy Principles. We do not sell, trade, or rent personal identification information to others. We may share generic aggregated demographic information not linked to any personal identification information with our business partners, trusted affiliates and advertisers for the purposes outlined above. 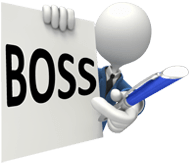 We regularly distribute to our clients general information and newsletters regarding BOSS services. From time to time we may send you specific information regarding some of our services which we believe may be of interest to you. If at any time you would like to opt out of receiving direct marketing follow the unsubscribe instructions at the bottom of each email, alternatively you may contact us on 1800 88 92 32. By using this website you signify your acceptance of this policy. If you do not agree to this policy, please do not use our website. Your continued use of the website following the posting of changes to this policy will be deemed your acceptance of those changes. If you wish to access or correct the personal information we hold about you at any time you can do so by contacting us. If we are unable to provide you with the requested information, we will provide you with a written explanation. We are committed to resolving complaints you may have, please contact us. Your complaint will be managed via BOSS’s internal disputes resolution body. This Procedure assures you of a timely and accurate response to your complaint.